PRICE Organic soya beans HK$ 28 for 2 pounds (HK$ 30.8 per kg). Non-organic soya beans HK$ 7 per catty (HK$ 11 per kg). 1kg of soya beans makes about 3 litres of soya milk. GREEN RATING Deep Green if made with organic soya beans or consumed as a dairy milk replacement (note: it does not mix well with coffee). Quite Green if made using conventional (GM) soya beans. Soya milk has a much lower carbon footprint than dairy milk. Homemade soya milk reduces that even further because less fossil fuel is used in transportation (liquids are heavier) and refrigeration is not required. In addition, there is no carton to dispose of. 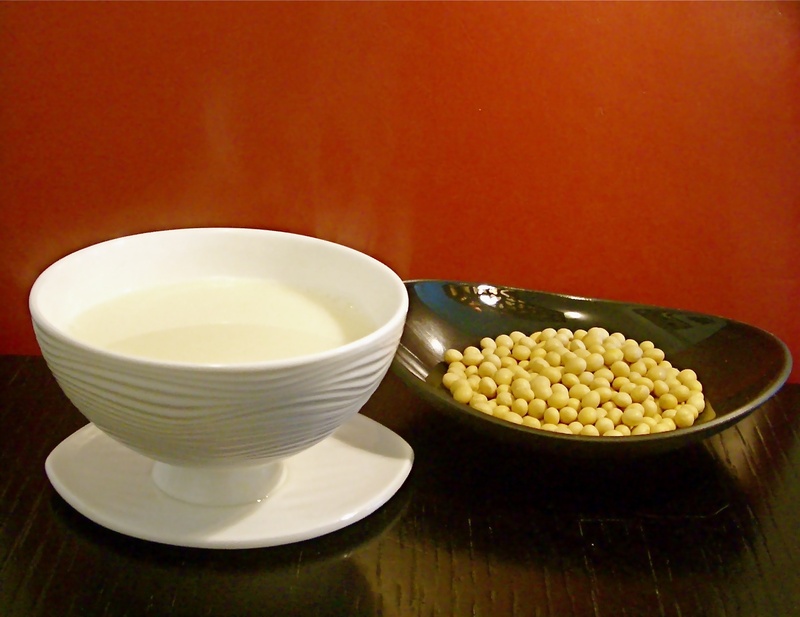 AVAILABLE AT Organic soya beans are available at various health food stores. The price quoted above is from Green Concepts. Conventional soya beans are available in the wet markets. As part of our effort to reduce our dairy consumption by 50%, we started drinking more soya milk. We began by buying organic soya milk in cartons. However, after researching all the additives in the ingredient list we became concerned. Vita brand soya milk, for example, contains a glazing agent to make it look brighter that is also used in shoe and car polish. Blend the beans with water. For each cup of soaked beans add one cup of water. The only drawbacks of homemade soya milk with no additives are that it can only keep for 2 to 3 days in the fridge and there is a bit of extra work in clean up. However the fresh taste and delicious aroma make it all worthwhile.